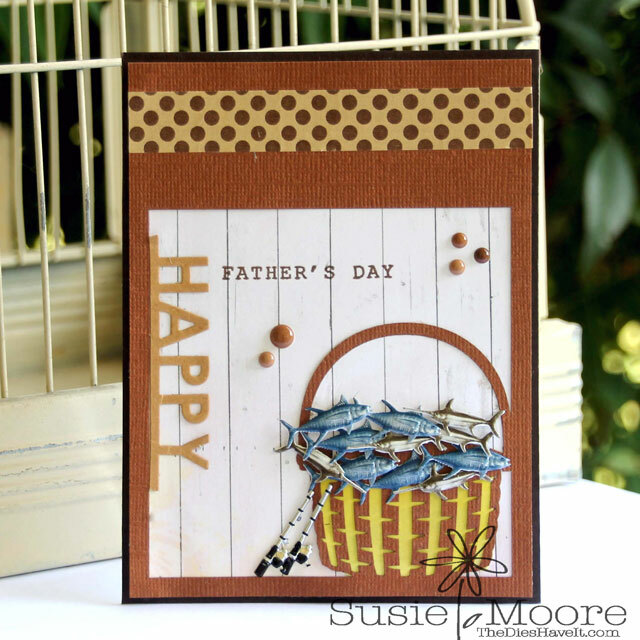 Here's a Father's Day card for the fisherman dads out there. 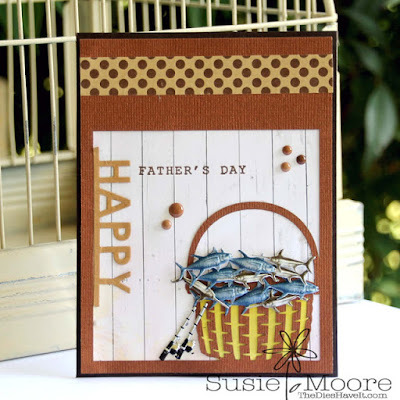 I thought it would be fun to fill a die cut basket with lots and lots of fish using supplies from Eyelet Outlet. First up are the Fish brads. Then to finish off the little scene, I leaned two fishing poles against the basket. Take a look at the cute Fishing Pole brads. They are just so realistic!! To complete my card I added some fun Washi tape and Enamel Dots. I hope you like today's card. I'll share another one I did with similar supplies really soon.